As spring has sprung (excuse me...I love saying this) and we can say summer is closer, SPF becomes more important part of the skin care / makeup routine. SPF is important all year round because of the exposure to sun rays, but in this season the sun rays become slightly...or dare I say... too persistent. SPF has always been a bit of a mystery. I understand that it is important for several reasons but I don't know why exactly or what the number on the bottle even means. I researched this a while ago but there is nothing wrong with a little reminder. To begin with SPF stands for sun protective factor (duhh), so as the name implies, it's job is to protect us from the UV rays that are harmful to the skin. As you probably know, SPFs have a factor number that is usually printed on the front of the bottle. 225 minutes is the length of time you are protected by a layer of factor 15 SPF. Obviously I don't advise finding out your skin's burning point. All I can say that skin type, skin strength and the amount of UV rays play a huge part in this. I, who have sensitive skin, burn easily and get a rash if exposed to the sun without protection whereas some of my friends are almost unaffected. To be on the safe side, because in this case it's better to be safe than sorry, it is best to re-apply your SPF approximately every 2 hours. Does a higher factor protect the skin more? Now this is a common misconception, I used to believe so myself. Technically it does protect more BUT if you have an SPF 30 compared to an SPF 15 it does not give you double the protection. In reality, the factor 30 will only give 4% more protection than the factor 15. In a nutshell, very high factor SPFs will mislead you into having a lot more protection and thus re-apply less when in reality there wouldn't be that much of a difference. No! First of all, usually makeup SPF is not high enough for good protection especially considering that if you have makeup on you will not be re-applying SPF. Also, not being specifically an SPF, it does not provide the protection a specific SPF would. So, it is important to apply SPF before your makeup. 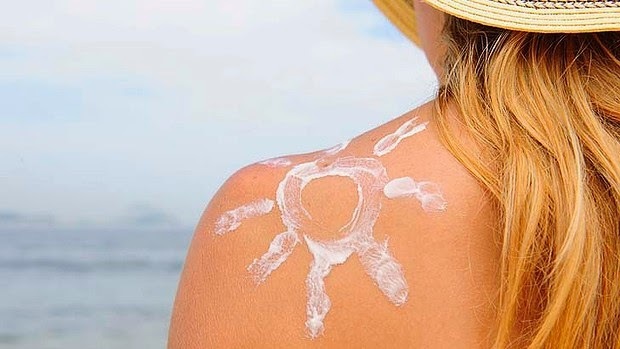 Does layering SPF products mean protection is increased? Not really. As we have seen before, increase in SPF does not equal to a linear increase of percentage of protection. Therefore, adding the SPF factors of the layered products will not make much of a difference than the protective potential of the SPF on it's own.